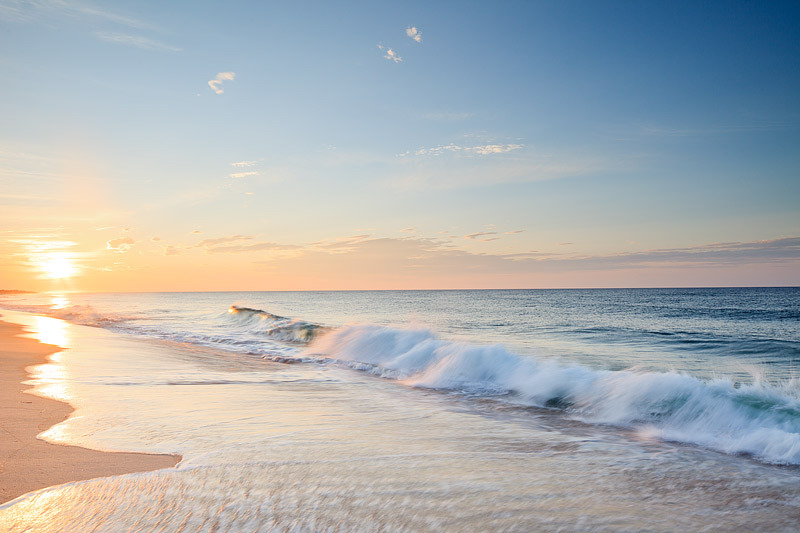 The sun rises over Dune Beach in Southampton, New York. Waves crash along the shore's of the Beach and the few passing clouds will pave the way to a nice day at the beach. Photo © copyright by Thomas Mangan.